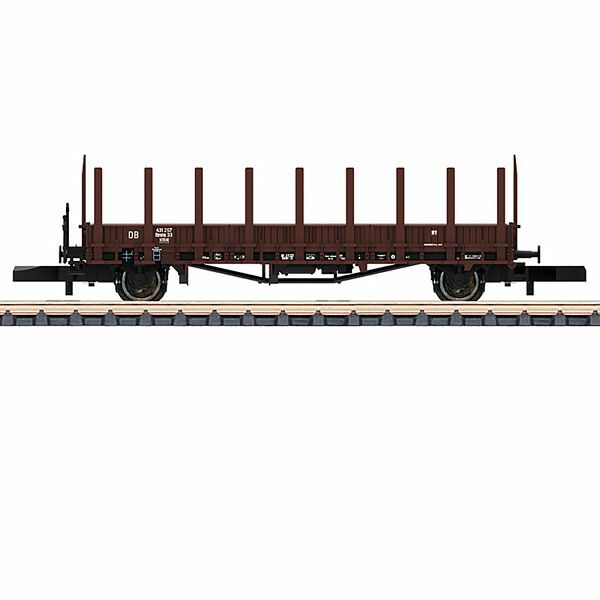 Prototype: German Federal Railroad (DB) type Rmms 33 stake car as it looked in Era III. Reproduction of a car with a handbrake platform, air brakes, wooden sides, and wooden stakes. Model: The car is completely new tooling and is made of plastic. The imitation brake shoes are lined up with the wheel treads. The car is finely painted and lettered. Removable stakes are included. Length over the buffers 65 mm / 2-9/16".